The Lovly™ Hold Button® is a small rubber button that sticks to your phone. It gives you a surprisingly secure grip for fewer drops, and makes any phone easy to use one-handed. There's so much grip, you might even dare to go caseless. You probably don't usually type sideways one-handed. But with the added grip of the Hold Button, now you could. The Hold Button makes it easy to reach the top of your screen when surfing the web one-handed. The Hold Button feels natural. You might already hold your phone this way. 1. Place the Hold Button just above halfway, logo down. The magic placement spot is just above your phone's halfway point. Because the majority of your phone's weight is below the Hold Button, your phone falls into your hand while using. 2. 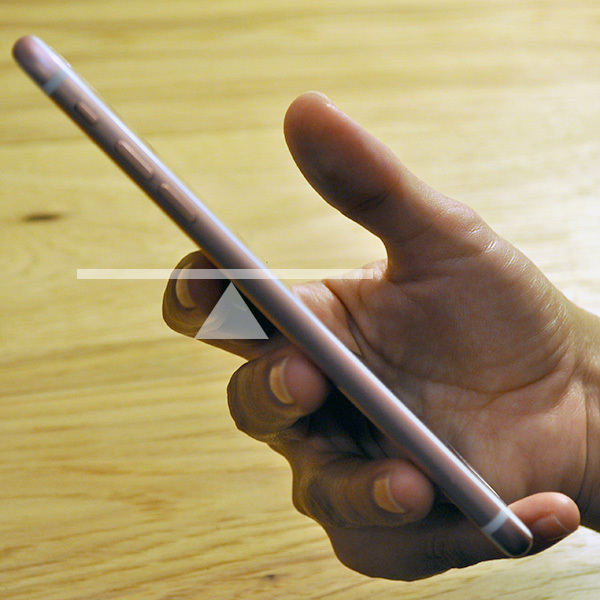 Pointer goes above, and pinky below your phone. Using the Hold Button feels natural. Just place your pointer finger above the Hold Button, and your pinky finger below the bottom edge of your phone. You might already hold your phone this way. 3. Then pinch slightly, creating a more secure grip. Now, ever so slightly, pinch your pointer and pinky finger towards each other, using the friction and shape of the Hold Botton as one clamping point, and the bottom of your phone as the other. Voila, you've got grip. The patent-pending ergonomics of the Hold Button help “clamp” your phone between the index finger and pinky. Now your thumb is free to tap and swipe. The Hold Button is a great way to reduce drops, while making it easier to use any phone one-handed. Use it with many popular cases, or replace your case. Big phones usually mean using two hands. The Hold Button makes even big phones easier to use one-handed. Every pack ships with three Hold Buttons. Share the extras with friends, or save ‘em. If you ever need to take the Hold Button off, you have a couple extra to put back on. Removing the Hold Button is easy. The 3M adhesive is formulated to stick tight, but peel off completely--it’s metal-safe, glass-safe, and plastic-safe. Designed in Los Angeles. Made in the USA. We support local economies and small businesses to make a positive impact on communities close to home. Designed by Lovly™ in LA. Made in USA.